Jello has a .60/3 from last week’s ss at least in Houston. It was a sweet $1.17 for 3. In the Des Moines, IA area (not sure how far this goes, or if it’s just our Walgreens) Walgreens has eggs for 2/$2, if you use the Incredible Edible egg coupon $0.55 off 2-one dozen cartons, that comes out to $0.77 per dozen eggs. 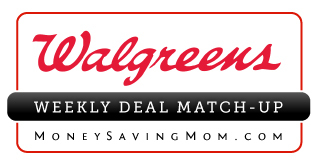 I am new to walgreens couponing (but frequent rite aid and cvs). I went today to get the Garnier deal. I bought 6 and used 6 manufac coupons and they would not let me use the $4 RR saying that it was also a manufac coupon. Is that right>???? the lady at the register said for me to buy a small candy so the RR would work and they did. Any of you have the problem? I bought 3 diffrent newspapers this sunday (as I don’t have a printer) I did not get any coupons in any of them. I am just starting to use coupons. (last week was my first week using them) Is it normal to not get any coupons in a Sunday paper? I even bought them from diffrent gas stations in diffrent citys!! How else can I get coupons other then the papers since I do not have a printer. The holiday newspapers usually do not have coupons in them.